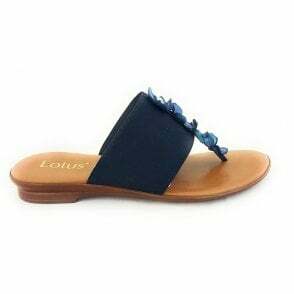 A versatile ladies toe-post sandal by Lotus. 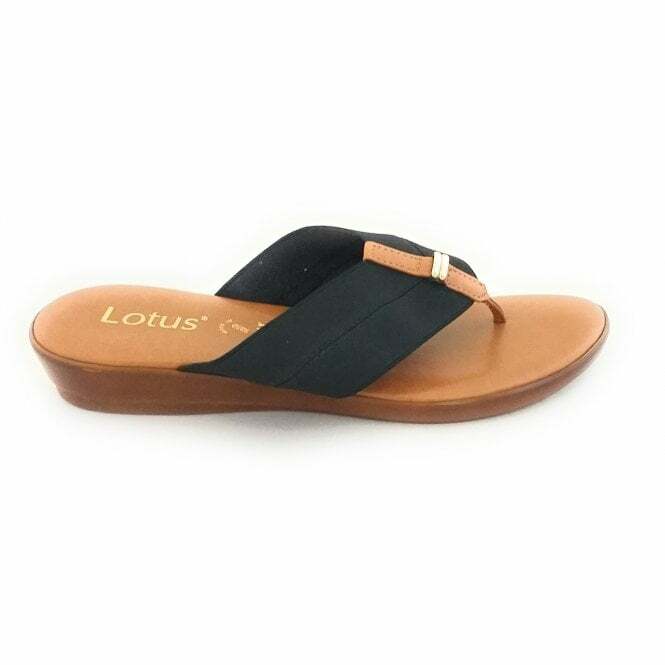 Hera features a black elasticated starp over the foot with tan and gold detailing. 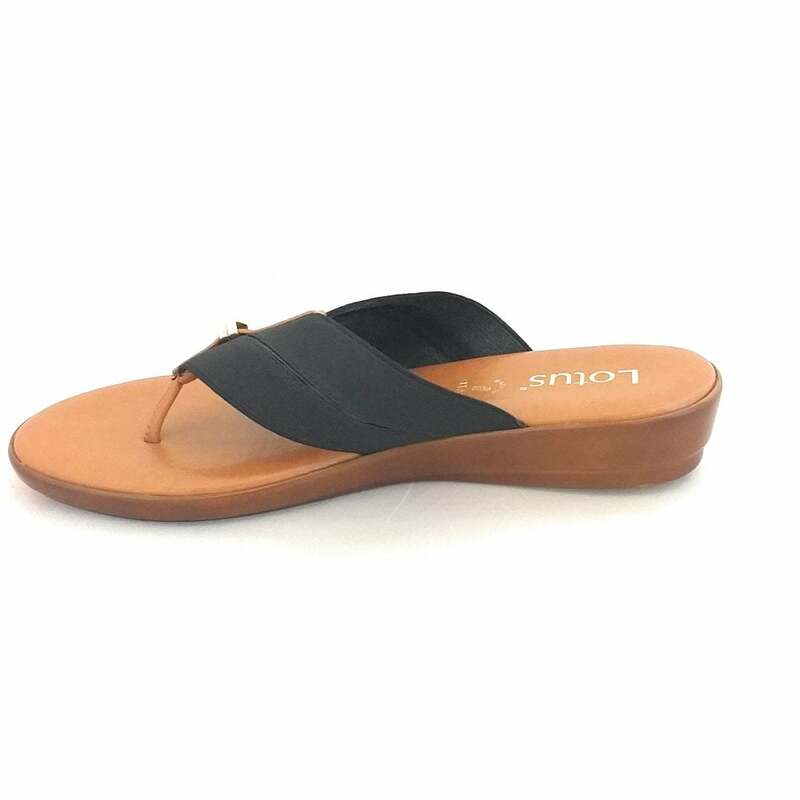 The cushioned insole and slight wedge heel give all day comfort. 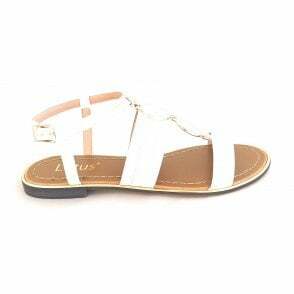 Perfect for wearing with any casual ensemble on a hot summer day.